I know where I am today. High and almost dry in a bucket ready to evacuate if necessary. But, I don’t think that’ll be necessary. Don’t worry, the hurricane is Joaquin away. Mama and I are currently right by Charleston in Mt Pleasant for a wedding. We’ll be talking about this adventure for quite some time! Oh, Stu you are taking a car ride again? 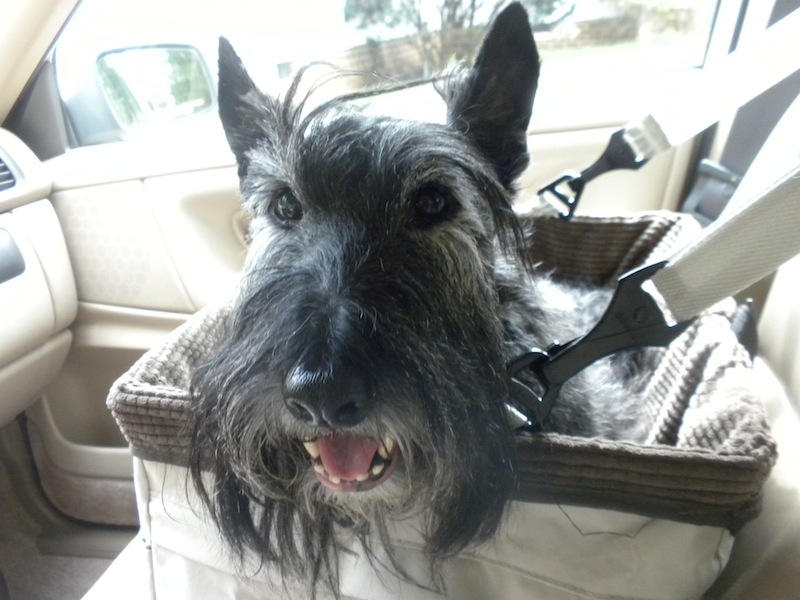 You are so adorable in your car seat! We are hoping the hurricane leaves everyone alone! Take care of yourself and the Peeps! Toast a vodka tonic with the Peeps and have some green beans to celebrate. You could pickle those beans w/the vodka. Stay dry and well. Looks like ya can say adios to Joaquin.